Most of us really like decorating projects and washi tape is the perfect material to use to decorate our boring rooms.. Washi tape can easily revive any pieces of furniture and also create unique decorating things that may serve as accents in your interior design. 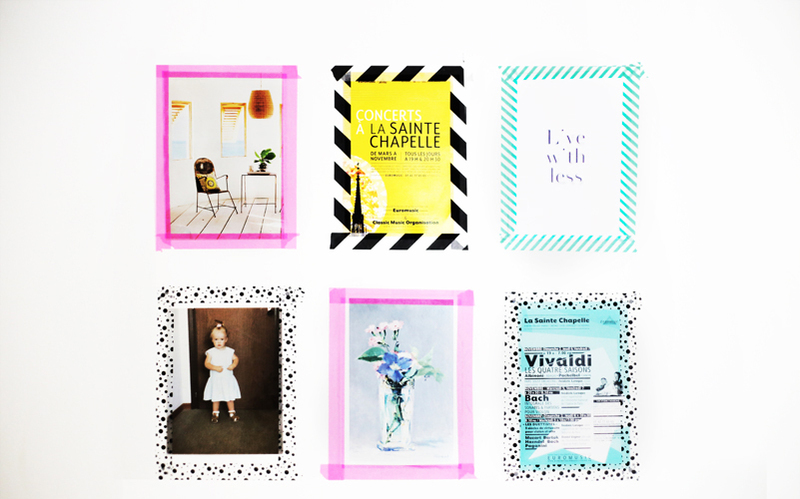 Washi tape can be the great little helper when designing low-budget decorative projects at your home. 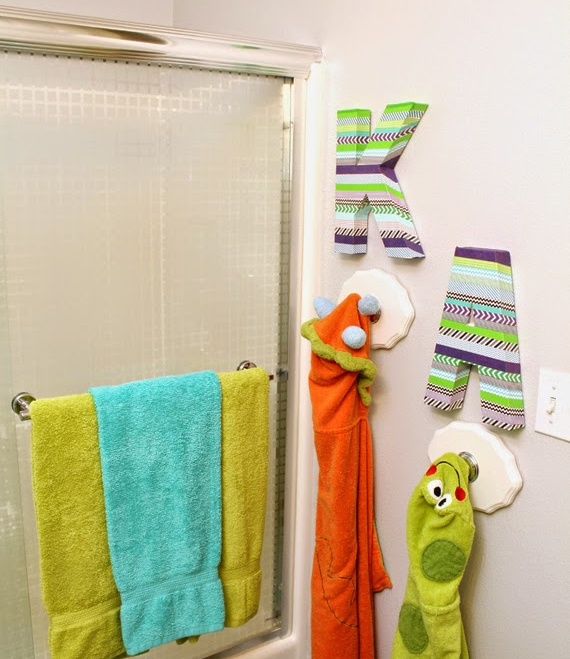 Take a look at these 10 easy projects from around the net for using washi tape to add color to your home! Dress up simple paper mache monograms using washi tape to add a personal touch to your space. Just a super easy way to share your memories! 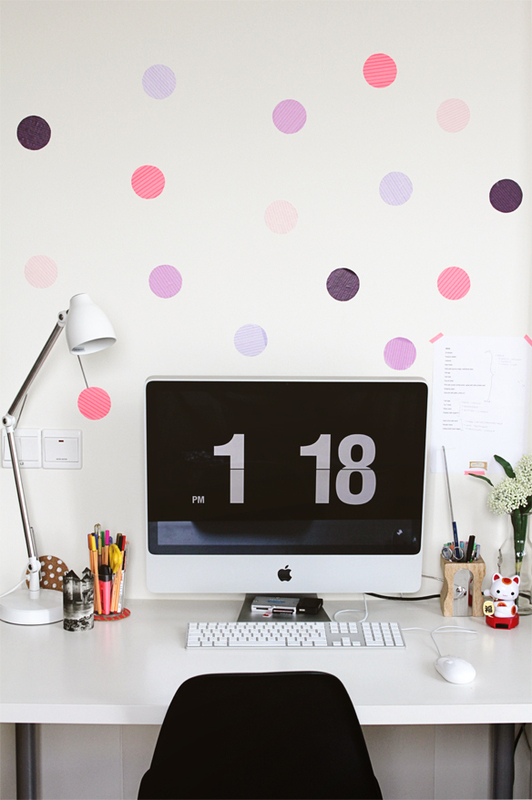 Washi tape is also perfect for decorating your home office. 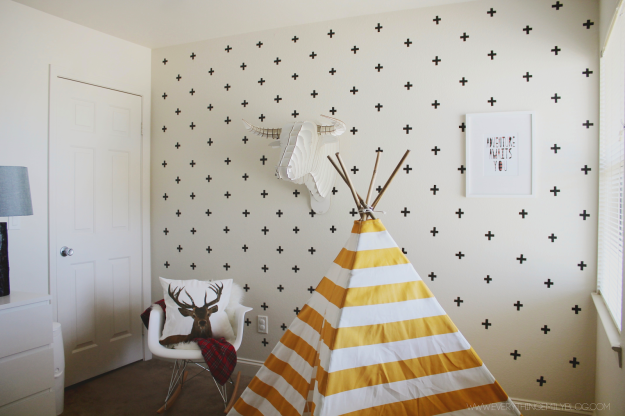 Use washi tape to create fun patterns on your walls! Change the look of your desk or table. 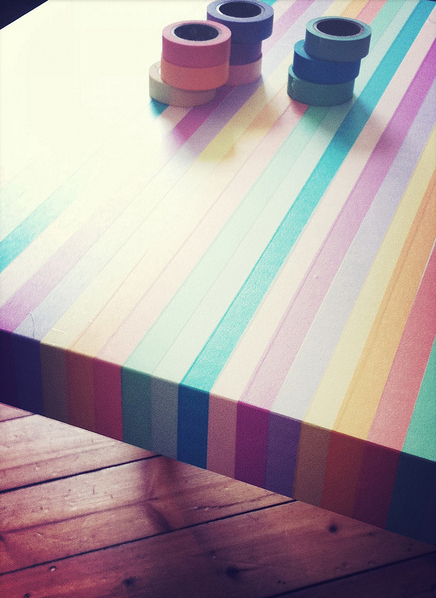 Just use different colors of washi tape to cover the entire table top or desk. 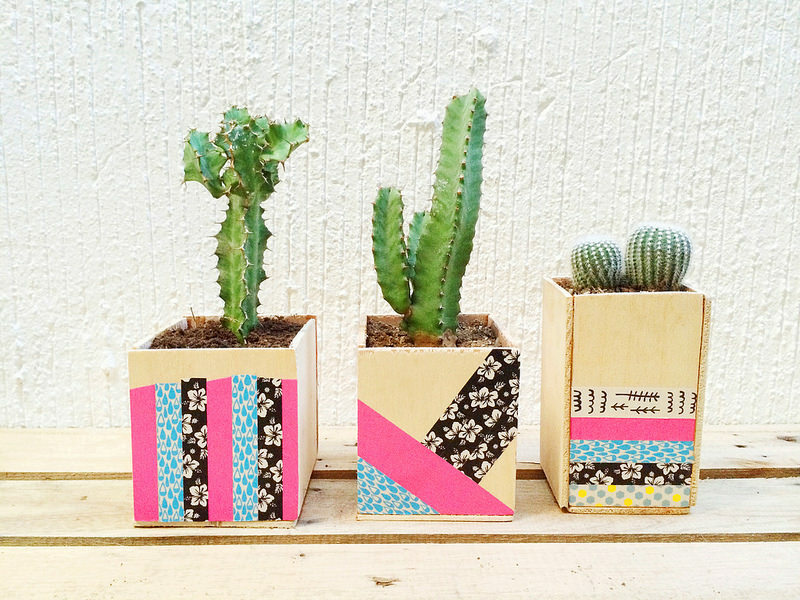 Make your own planters with washi tape and scrap wood. 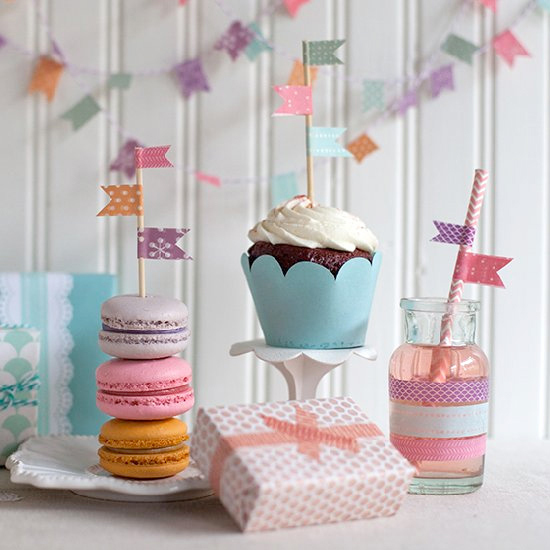 Use washi tape to decorate your next mini party. 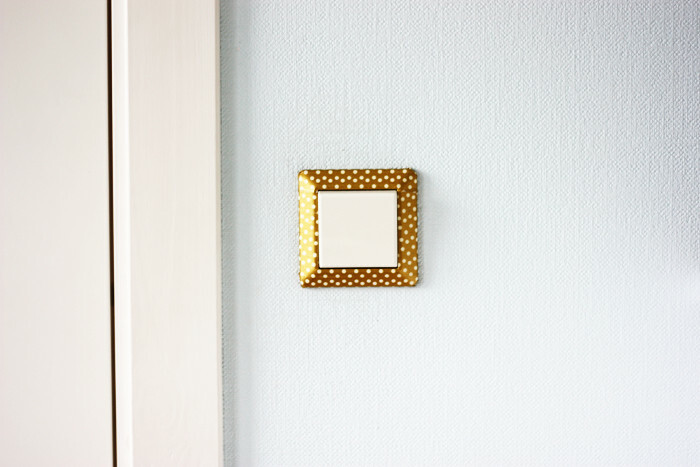 Add some color to your interior design with washi tape light switches. 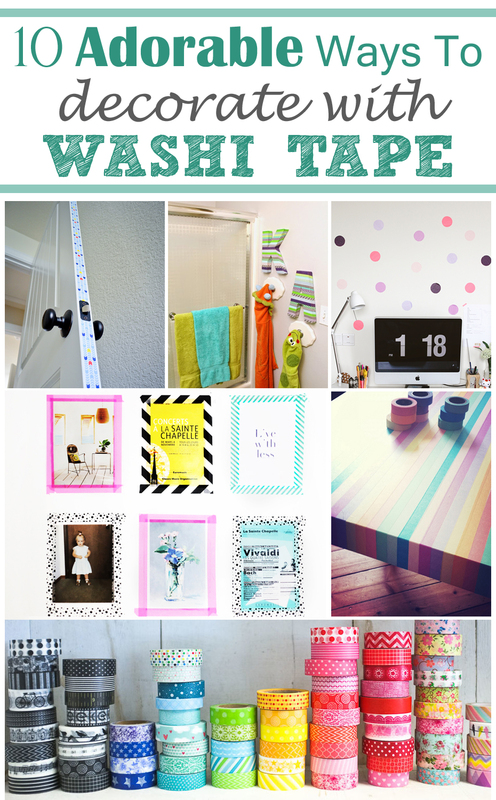 Jazz up your walls with these simple washi tape wall decals.. Super fun to create and so affordable! This is an AWESOME idea! 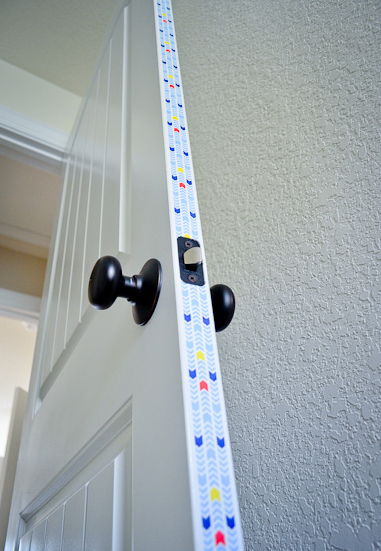 Washi tape a door’s edge in less than 2 minutes..